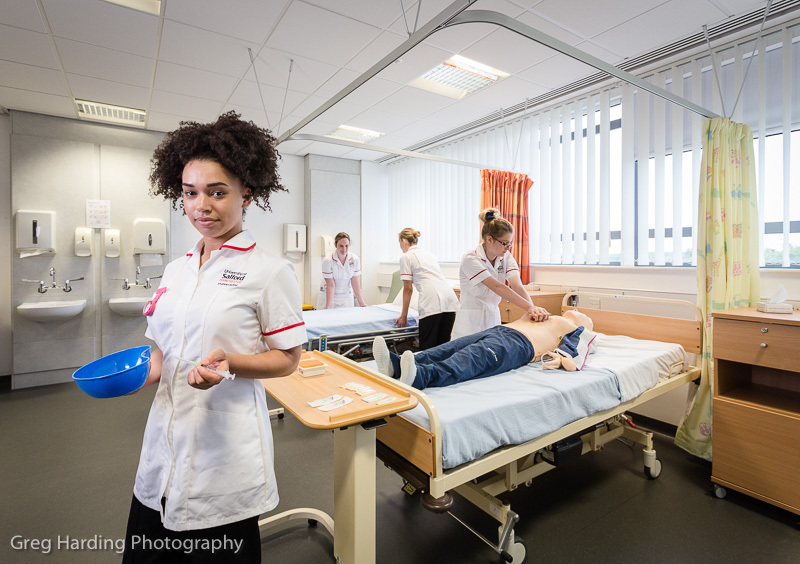 Here’s a quick sneak peek at a couple of images that were captured at Salford University. The setting was a combined classroom and skills area in the form of a hospital ward. 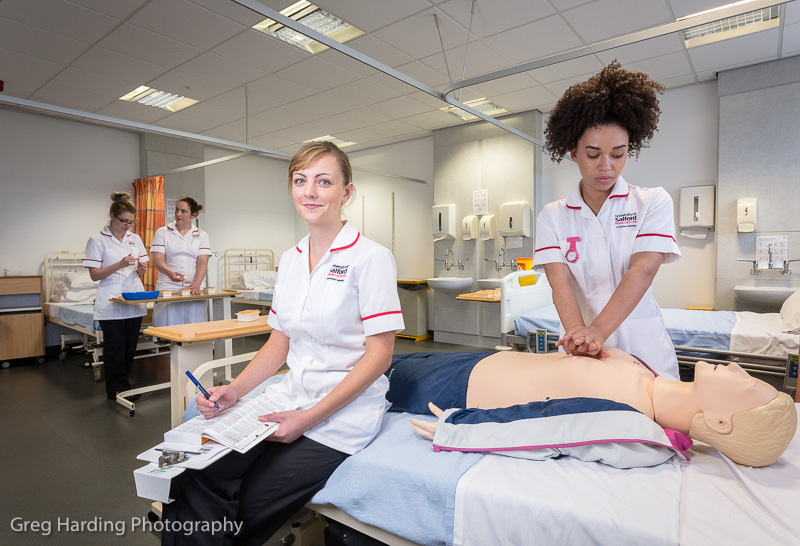 Within this area we using 4 student nurses to show the practical training they undergo before they are allowed near the real thing. This was a very simple lighting set up, using x1 Elinchrom Quadra pack with soft box modifier and blending the ambient to produce a realistic environmental portrait. In this shoot I was able to use my healthcare experience to direct the students into a believable work scenario. As always, I’d love to hear your thoughts, please post them below.